Only a few wineries can can lay claim to a history of more than a century. Seghesio Family Vineyards can! The Sonoma County producer hit its 120th anniversary last year, and if you remember carefully the past century of American wine, you likely remember that big blip: Prohibition. Seghesio has always held a fascination for me, as it’s one of the few wineries to survive prohibition, and this fascination led me to visit the Healdsburg winery during my recent West Coast tour. ca. 1920’s — Barrels emptied into the sewer by authorities during prohibition. A second reason Seghesio was a priority visit is the upcoming “Wineries of Prohibition Wine Dinner”. On October 28th, Morton’s Steakhouse in White Plains and I will present a speakeasy evening, pairing a delicious menu with wines from producers that survived prohibition. Seghesio will be featured, along with Foppiano, Beringer, Gundlach Bundschu, and Beaulieau. Tickets are $100 and available here. 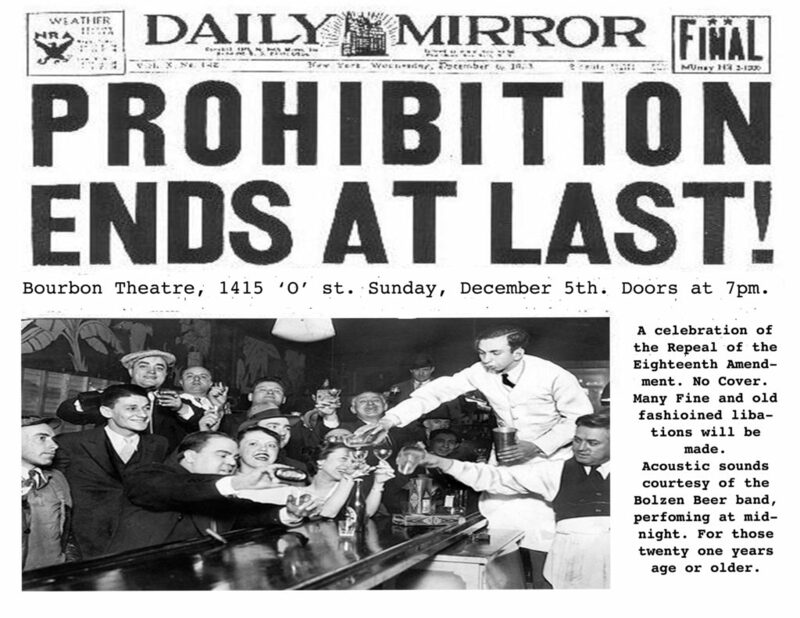 “Wineries of Prohibition Wine Dinner” will be fun, but those years between 1919 and 1933 likely were not! Prior to prohibition, many winemaking families had made their start in California, many of them immigrants from Italy. 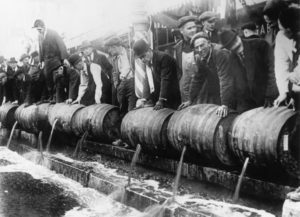 The eighteenth amendment forced families to give up their traditional way of life or break the law, and the few who survived can be credited with salvaging America’s wine heritage. A great read is When the Rivers Ran Red: An Amazing Story of Courage and Triumph in America’s Wine Country which will regale you with tales of federal agents spilling gallons of wines in creeks and winemakers evading intruding authorities! 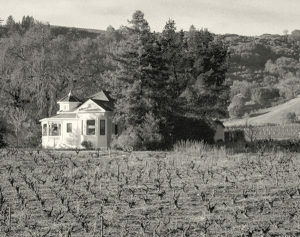 Seghesio Family Vineyards was one of less than 100 wineries in California to survive through Prohibition. Edoardo and Angela Seghesio had come to this country long before 1919, planting their first Zinfandel vineyard in what is now Seghesio’s Home Ranch Vineyard in Alexander Valley in 1895. Unlike many neighboring families that shuttered their businesses, Seghesio survived this period remarkably well by selling grapes, grape juice and grape concentrate for in home wine production, which was a legal exception to the 18th Amendment. Seghesio is undoubtedly part of not only the California wine history, but the American wine story. Today, their fifth generation continues what Edoardo and Angela started. When I visited Seghesio’s winery in Healdsburg I was greeted by VIP Liaison Tony Sciullo, who tasted me through their renowned Zinfandels and Italian varietals. The Sangiovese were real standouts, and I’m looking forward to featuring the 2013 Sangiovese at “Wineries of Prohibition Wine Dinner” at Morton’s Steakhouse. 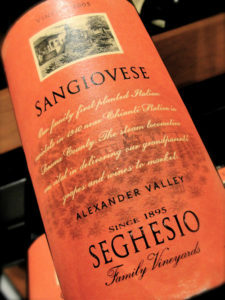 Edoardo Seghesio first worked with Sangiovese in the late 1800s during his tenure as winemaker at Italian Swiss Colony. His Sangiovese plantings on the Home Ranch are the oldest in America and have parlayed into many of the finest clones. The 2013 Sangiovese is intensely flavored with a balanced acid, and will pair perfectly with a Braised Short Rib with Bordelaise Sauce on October 28th! If you’d like to walk down American wine memory lane before the dinner, do visit us at Vintology Wine & Spirits for a bottle of Seghesio Zinfandel Sonoma County 2013!